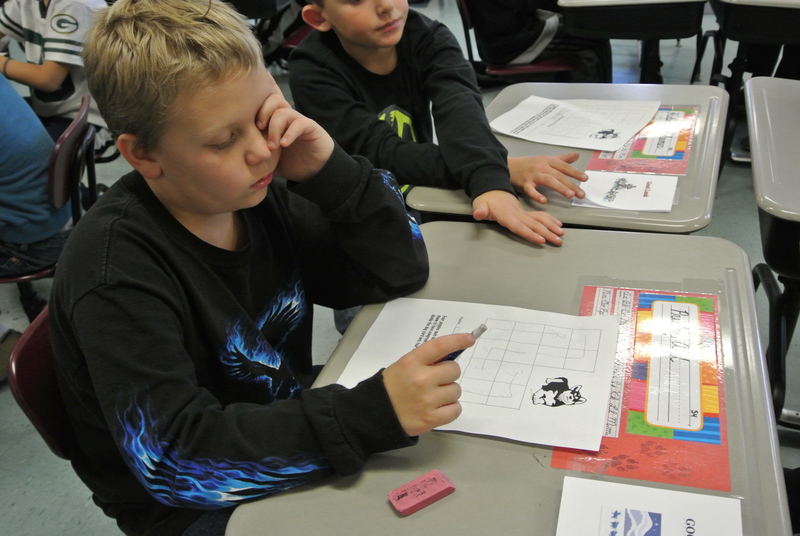 I love logic puzzles, therefore, my students learn how to try to solve a problem without giving up. Attached are a few puzzles we use in the classroom. 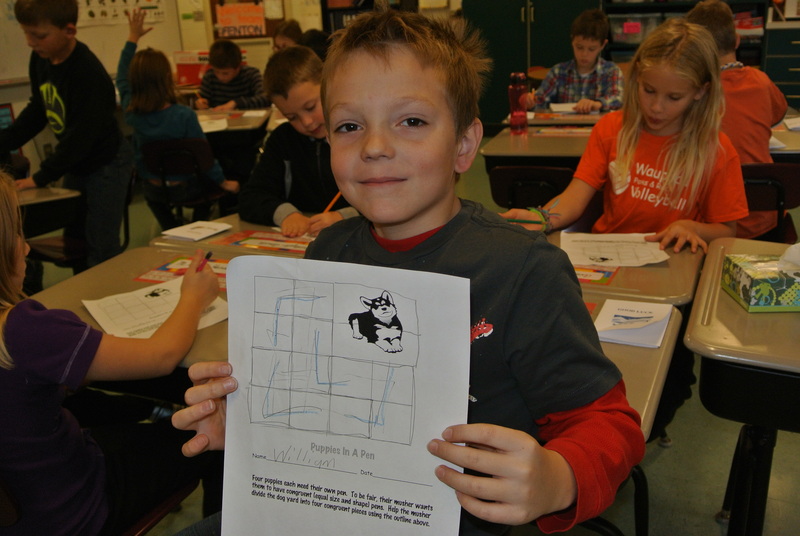 Puppies in a Pen teaches congruent shapes. We are currently taking the Wisconsin Knowledge and Concepts Exam, our “high stakes” state test. This was a good activity to get students’ brains turned on. With Dogs In A Pen Lesson Plan, students have to think outside the box. Have fun and don’t give up!